Just finished this a few minutes ago. Last edited by Laisar; 08-01-2009 at 08:59 AM. that looks cool... but y is the character in black and white?? I dunno. I just liked it better that way. looks really good for a first wallpaper. 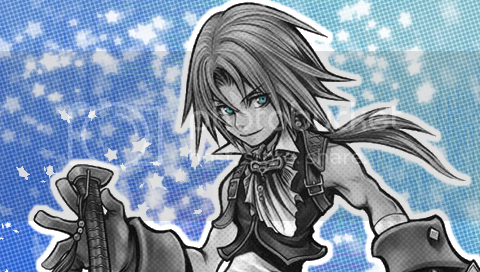 Very nice, I actually like Zidane in black/ white, nice touch with the blue eyes. Its very nice. Good work Keep it up.